When Software Engineering meets Deep Learning Research. 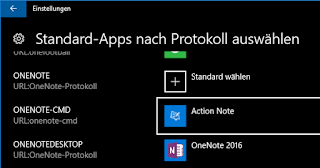 Due to the included "onenote-cmd" protocoll binding, Action Note is now finally able to be set as the default app for the "Note" button within the Action Center. Unfortunately, the app has to be set as default manually. Furthermore, the default app settings are not available on Windows 10 Mobile yet. 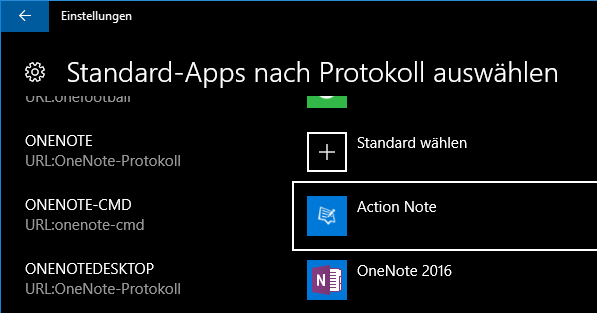 By the way, this version of Action Note is powered on the (finally) first public release candidate of our framework for UWP based projects. As soon as the repository of the framework is public, I will post the link on this blog. I remember when I read about eGPUs for the first time. The symbiosis of having a light weight laptop at university or on the go, but still having a desktop like power horse when having some spare-time at home sounded like a dream. But everything faded into obscurity because I almost lost full interest into gaming the last years. But this changed, since I'm spending a lot of time in deep learning since about two years. 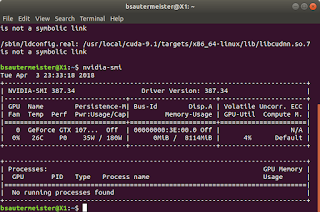 And it's well known that taking advantage of a GPU boosts training time by a huge margin. That's why I tried to get access to a high-performance graphics card in order to be able to train non-trivial networks and so some more serious research. In the last post, I wrote about how to setup an eGPU on Ubuntu to get started with TensorFlow. I shortly mentioned that a eGPU is definitely worth it for Machine Learning, but I did not tell any numbers. This article tries to catch up on that. There are a gazillion benchmarks already out there about GPU gaming performance. A handful of them also include eGPU benchmarks, like this one for example. One important thing that that these eGPU benchmarks show is that the use of an external display is from benefit, because otherwise the Thunderbolt 3 port becomes a bigger bottleneck. This is due to the fact that each rendered frame has be sent back to the internal display, which consumes valuable bandwidth of the 40 Gbps Thunderbolt 3 connection. However, there is no alternative for using an eGPU for Machine Learning, because the computed gradients have to be sent back to the CPU. While checking out some tools for automated hyperparameter optimization, I came across a quite popular library called Hyperopt. It provides an implementation for Random Search and Tree-of-Parzen-Estimators (TPE). Unfortunately, most examples out there us a dummy function to replace the model, but I could not find any example that uses TensorFlow. 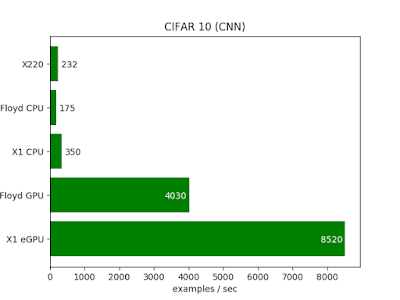 That's why I wanted to provide a basic simple Hyperopt example with TensorFlow. This example can be found on my Github. Do you have any experiences with other libraries for hyperparameter optimization? I would be happy if you share your experiences? For instance, I have read that a Sacred extension called Labwatch also allows to define a search space for algorithmic hyperparameter optimization, but comes with different algorithms. Machine Learning Software Engineer from southern Germany, currently living in Munich. Studied Applied Computer Science at HTWG Constance, Worcester Polytechnic Institute in MA, USA and received the Masters degree at Technical University of Munich. From 2012 to 2016, I have been a scholarship holder of Friedrich Ebert Foundation and an active member of the Work Group Internet. Beside that, I'm very interested in Machine Learning, sports and photography.